Neutrals are making a splash on Europe’s Spring Fashion runways, but they are perfect for right now, too. 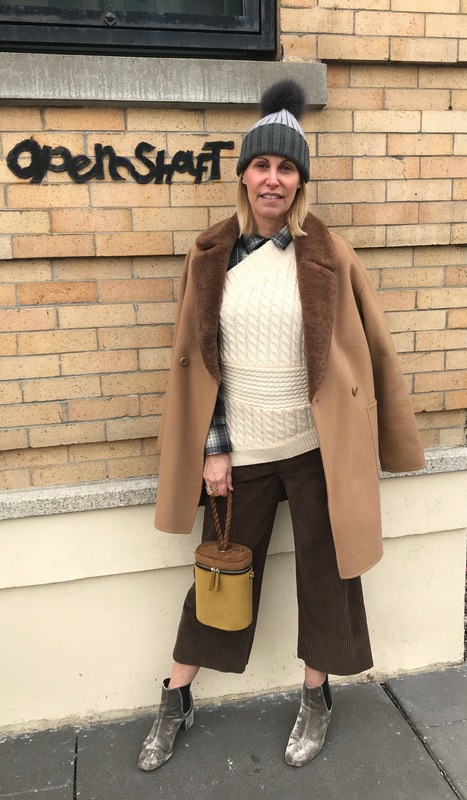 Aside from offering a subdued yet sophisticated palette cleanse to all the holiday sparkle and brights of December, I bet you already own quite a few pieces that fit the bill. And if your wardrobe is a little light on neutrals, there’s no better time than the January sales to shop for some outfit refreshment! 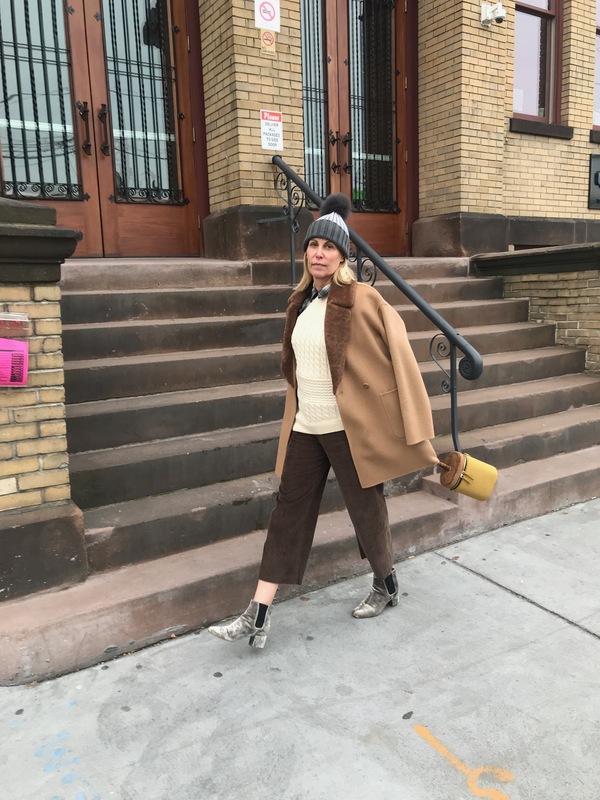 From earlier posts, you might already know how much I naturally gravitate to shades of brown and grey. I love wearing outfits that are one neutral hue from head-to-toe but in a mix of textures (as seen here and here). 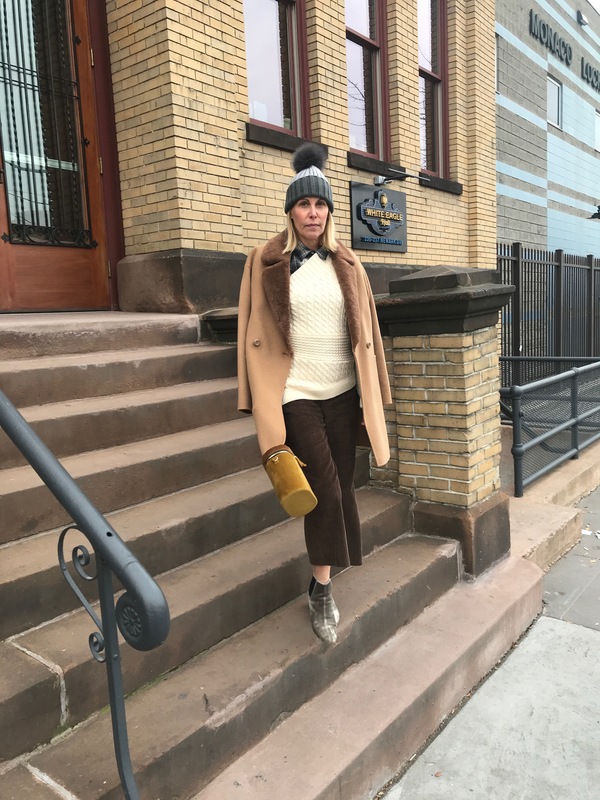 So it was only natural to come up with an outfit that combined all of favorite neutrals! Since I’ve been trying to make January as much of a no-shop month as possible, I’ve linked similar options for anything that’s a shop-my-closet piece or already sold out. This car coat is a 2017 purchase that’s still going strong. From it’s toasty color to its easy yet tailored fit, shearling collar and handy patch pockets, it combines the best of trendy touches with classic style that will stand the test of time. This coat is so versatile, I’ve dressed it up or down over and over and over again! 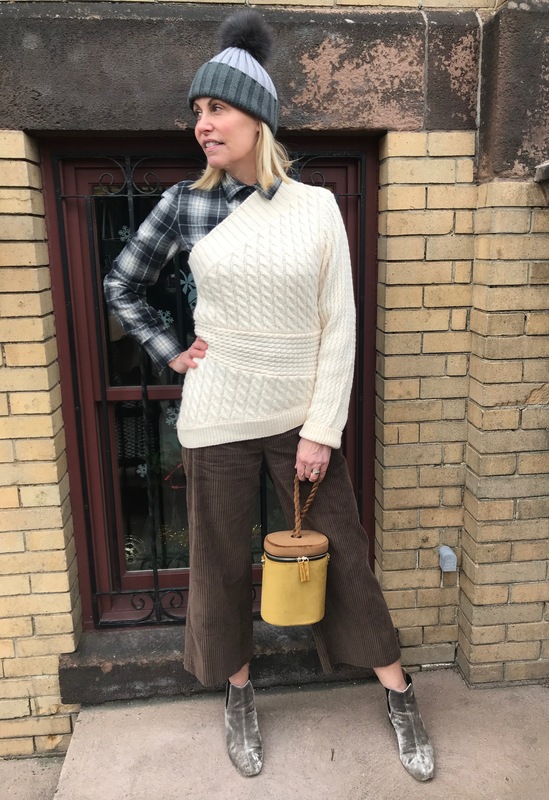 The brown, beige and grey theme keeps going with a one-shoulder sweater layered over a cozy yet fitted tailored flannel shirt (also seen here and here). 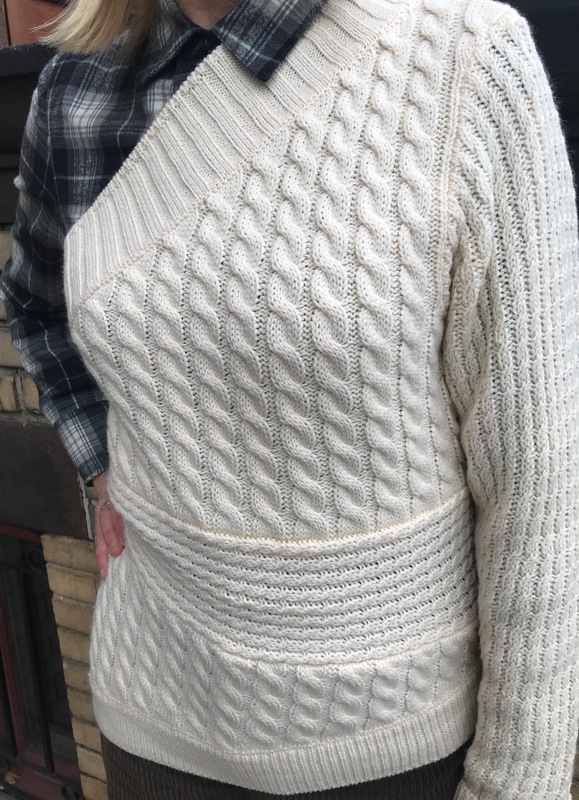 This sweater is a super affordable dupe of a Burberry that I would have bought…if I had won the lottery. I’ve already worn it on its own for a GNO and a date night. While it’s obviously more skin-baring that way, it kept me quite warm, too. Corduroy has been a favorite fabric since Fall, so I could not resist this cropped pant silhouette in chocolate brown. The best of comfy chic! And how about Bowie dressing the part, too!! For accessories, I also dipped back into the brown and grey palette. 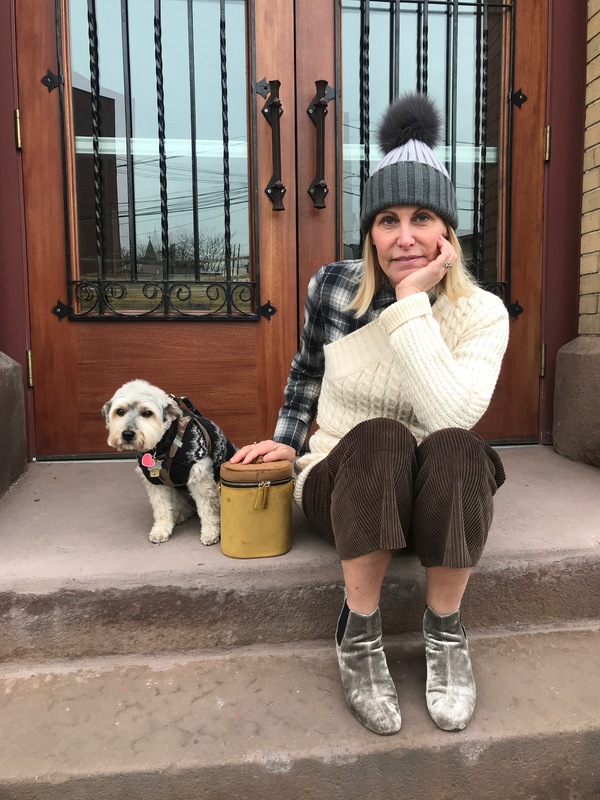 I’m in love with this striped cashmere beanie, not to mention its furry pom pom. It’s so luxuriously soft and warm and never gives me hat hair! 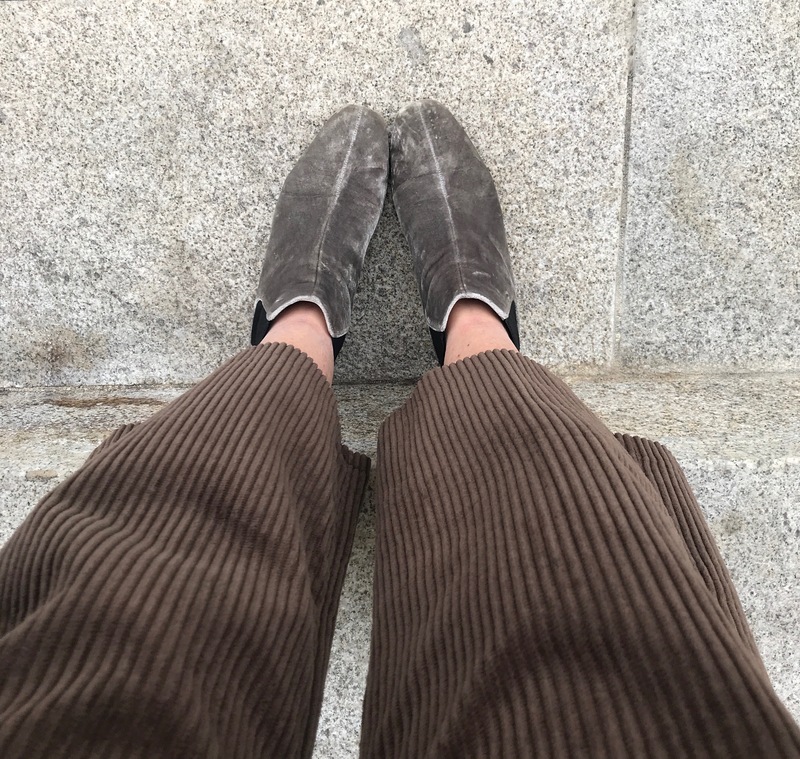 My velvet booties are oldies but goodies, which I honestly wear at least once or twice a week. And this velvet top-handle bag was just the plush touch to finish everything off. Can you believe January has come and gone? I know my posting this month has been a little on the light side, but I’m going to kick things into high gear starting February. I’ve got a big blog shoot scheduled for the 4th, so stay tuned! And stay warm if you’re in the midst of the Polar Vortex!! Coat: (Tibi, old) Great alternatives here, here and here (all on sale!). Sweater: (Aurora Goods, also comes in grey and black) Love this (with ruffles and on sale!) and this (under $20! ), too. Shirt: (Vince, old) Similar here and here (on sale, lots of color options!). Pants: (H&M, sold out) But check out this, this (under $25!) and this (designer on super sale!). Beanie: (Adrienne Landau) Great dupe here (on sale too!). Boots: (Madewell, old) Similar here and here. Bag: (WhoWhatWear x Target, sold out) Really like this (so cute and on sale!) and this. Photos by MP & Chris Allegaert. That coat is amazing and I love the jumper! These colours look good on you!